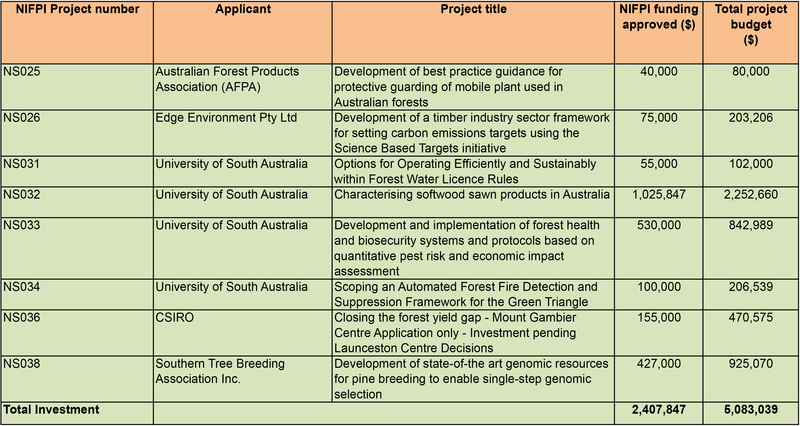 With the support of the Australian and South Australian State Government, the Mount Gambier Centre of the National Institute for Forest Products Innovation has up to $4 million available for research grants to grow the future of forestry. Research projects could be ideas for new and innovative products, solutions which could see the Green Triangle get more benefit from existing forestry activities, become more sustainable and safer, grow jobs or create new products and services. 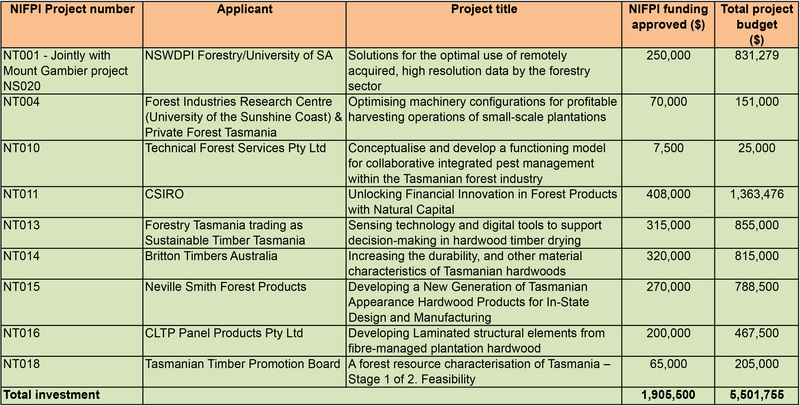 With the support of the Australian and Tasmanian State Government, the Launceston Centre of the National Institute for Forest Products Innovation has up to $4 million available for research grants to grow the future of forestry. Research projects could be ideas for new and innovative products, solutions which could see Tasmanians get more benefit from existing forestry activities, become more sustainable and safer, grow jobs or create new products and services.